Give your bathroom a touch of sophistication with the 75" Marion Double Sink Vanity. With a gorgeous Burgundy finish that's been matched with a Dark Emperador Marble top, the Marion boasts intricate detailing along every inch of its cabinet. Underneath each ceramic undermout sink lies two single-door cabinets, each of which have been adorned with striking Antique Brass hardware. 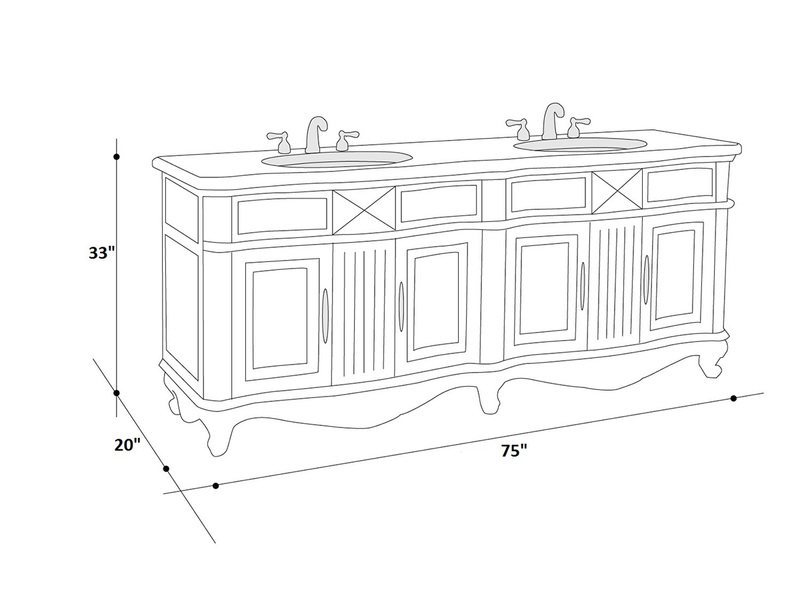 This vanity makes a statement in any bathroom it is in.